Whatever camera you own please at least read your owners manual. You'll be surprised at all of the things that you can do. In some cases people write third party books with even more information that the manual left out. The author of this one Ibarionex Perello. He hosts one of my favorite podcasts about photography called The Candid Frame. Every week he interviews someone significant in the world of photography. I highly recommend it as a good listen. 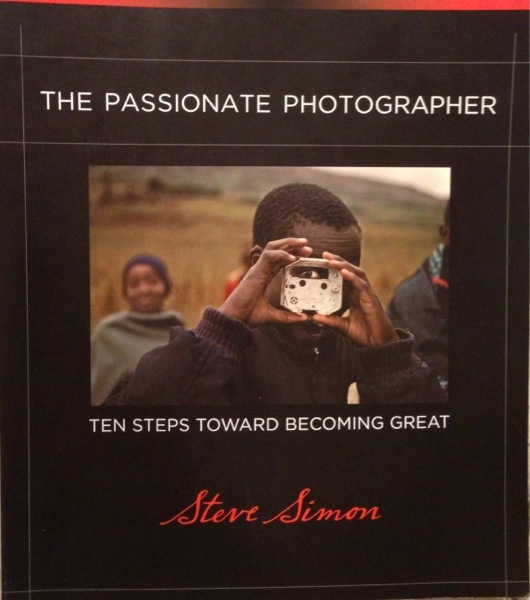 I just finished reading "The Passionate Photographer", by Steve Simon. The book concentrates on three basic elements: intent or passion, practice, and technique. The is a must read for photographers of all levels trying to improve their photography. The beauty of this book is that it details specific techniques while emphasizing tried and true composition theory to practice as assignment suggestions throughout the chapters. Steve Simon sprinkles his own images, good, and bad, to give examples of what to, and not to do when creating an image. Please do not think that you need to be an experienced photographer to understand, or put in practice the ideas in "The Passionate Photographer". On the contrary, I would also gift this book to the beginning photographer. I don't believe that I am lacking in the passion, but I can honestly say that I learned from every chapter. I recommend it highly. I purchased the book online at Amazon.